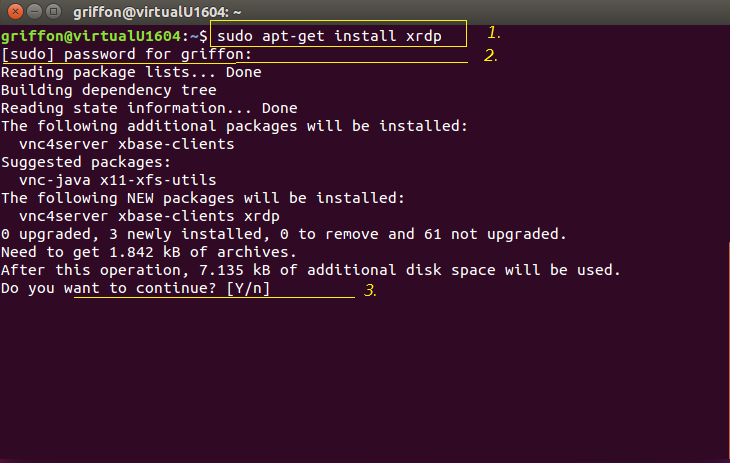 A standard installation for us means that we will be using the xrdp package available within the Ubuntu repository. 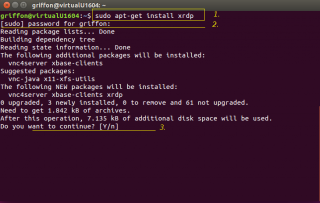 To install the xrdp software from Ubuntu repository, you will need to issue the following command in a terminal. xrdp and Unity desktop (or Gnome 3) are not working well together. If you do not install another desktop environment, when you will try to connect to your Ubuntu machine, you will see only a gray screen. The workaround to this situation is to install an alternate desktop that can work with xrdp software solution. Our preferred desktop alternative is Mate-Desktop. This post will show you how to install the Mate-Desktop and have it working with the xrdp software solution. In our scenario, we have installed mate-desktop, If you have installed another Desktop alternative, you will have to adapt the configuration of the startwm.sh file to reflect your settings. Finally Open Remote Desktop Connect and use the VPS IP and login! Im getting an error. suggest me what to do. Hi, I will look into this and see if I can get it working. where to login the remote desktop?